After years of glasses and contacts, I made a great decision to have the LASIK procedure. I’ve never seen better and couldn’t be happier with the results! ~ R.S. from Short Hills, N.J.
My LASIK experience was a truly life altering event that I put off for way too long. Dr. Miller’s expertise, plus the staffs care and concern, were not only over the top but made it something that I would highly recommend for anyone considering it. ~ R.S. from Livingston, N.J.
LASIK eye surgery was the best thing I have ever done by for myself. 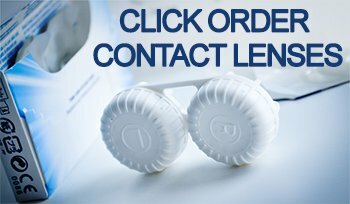 I used to not be able to see the numbers on my alarm clock 3 inches away from my pillow in the morning, and have had countless problems using contact lenses. Although the idea of having a laser to my eye and risk possible blindness for life could be frightening, I had no qualms with my precious gift of sight in the hands of Dr. Miller. Dr. Miller is an experienced, knowledgeable, thorough and gifted LASIK eye surgeon. From consultation, the actual short procedure, and follow-up exams I had a wonderful experience knowing I was being taken care of extremely well. I now open my eyes upon the sound of the alarm and see as if I have not been a glasses wearer since childhood. I am eternally grateful to Dr. Miller for changing the way I see and experience life forever for the better and strongly urge you to see him to do the same for yourself. ~ V.A. from Chatham N.J. I have been a patient of Dr. Miller’s for many years. It is rare to find a doctor with today’s insurance plans and pay that spends the time to speak with his patients about their condition the way that Dr. Miller does. I never feel rushed and he always answers all of my questions. I am very inquisitive and he is always kind and patient, giving me all the information I need to feel comfortable. My family sees him as well and we all like him very much. He is approachable and highly skilled and competent. When I have an emergency his staff is always kind and responsive. This runs in his family, I was originally a patient of his father and he conducted his practice in the same way. I highly recommend him and his office for excellent care and customer service. Thank you Dr. Miller! ~ Leah M., Livingston, N. J. The personal attention I received from Dr. Miller and his dedicated staff were extraordinary and highly exceptional. Prior to the procedure, I was nervous and hesitant but they made me feel comfortable and provided me with finest care. I would not hesitate of recommending him to everyone for LASIK or any eye care. Much obliged for my 20/20 vision! It is with great pleasure that I send this communication to all concerned to comment about my recent office visit with Dr. Bardha Fejzo. This visit was one of the most pleasant experiences that I have encountered in quite some time. The professionalism and attention to detail that Dr. Fejzo displayed during my examination was beyond reproach. She made me feel very comfortable and allowed me to feel a sense of importance. These two things, coupled together, are what makes the difference between “just an office visit” as opposed to a satisfying, fulfilling and informative doctor’s appointment. Additionally, I must mention that her office staff was very friendly and attentive. Their pleasant reception procedures and requests for documentation from patients was non-aggressive, which is in contrast to what is often experienced in many reception office environments.Dr. Fejzo took the time to explain every action of the examination process and thoroughly answered any and all questions that I may have had during this procedure. I commend your organization for having such a professional and personal member of your staff. She certainly made my day and I will refer any and all persons that I come in contact with who are seeking Ophthalmology care to Dr. Fejzo and your association. Thanks again to Dr. Fejzo, her office staff and all who were involved in making my visit to your business a pleasant, rewarding and informative one.